Are you ready for the Volvo Ocean Race 2017? Live again the experience of the last edition and prepare for the next round the World on sailing boat! 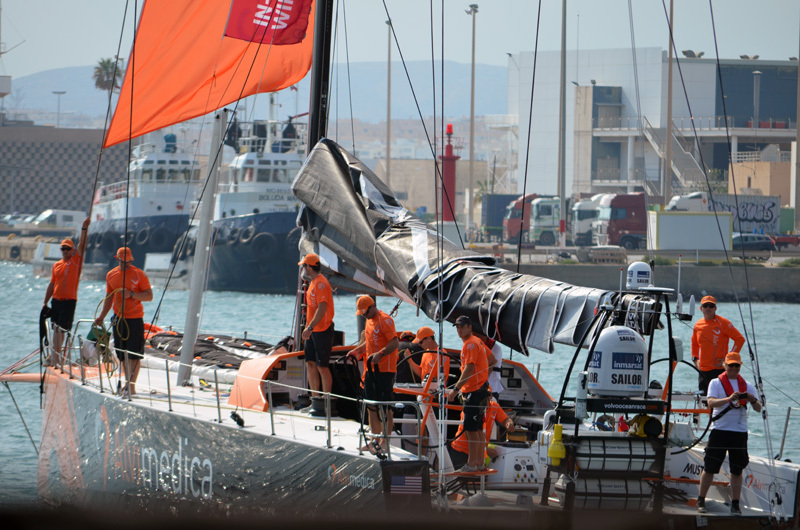 Disfruta Mediterráneo > Blog & Magazine > Interviews > Are you ready for the Volvo Ocean Race 2017? Live again the experience of the last edition and prepare for the next round the World on sailing boat! Are you ready for the Volvo Ocean Race 2017? Live again the experience of the last edition and prepare for the next round the World on sailing boat! The Volvo Ocean race 2014-2015 was a historic edition. For the first time that boats were identical, designed in exclusive way for the crossing, and six from the seven teams won one of the legs, they were fighting very close, how we could see in only few times, to achieve the first place. Do you remember how we lived the In-Port races and the start of the boats in Alicante? There was a lot of emotion and spectators’ participation overflowed of the expectation! But the Volvo Ocean Race 2017 promises much more! The round the World sailing in the next Year will incorporate new releases: there will be drones which will go with the boats during the legs, more stopover cities and there will be more change in the rules. 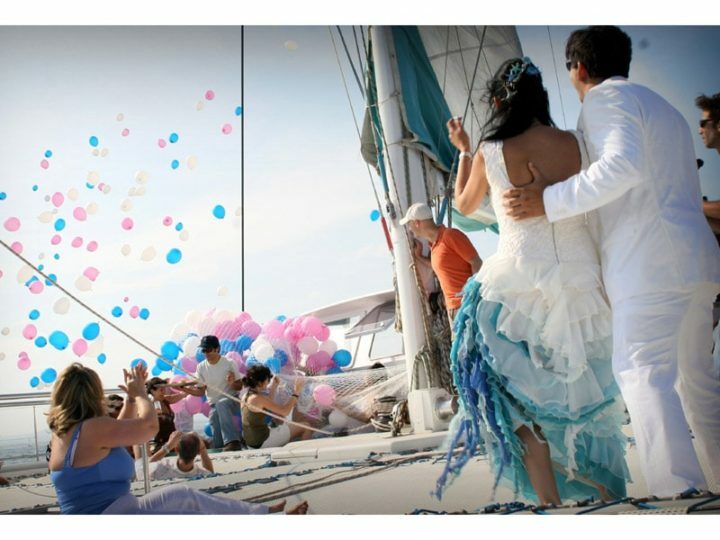 In addition, the sailors will have more support of the nautical lovers. This support makes the difference in each port and leg! As the time flies, and very soon we will be in Alicante to attend the next start of the teams of the Volvo Ocean Race 2017, we wanted to relive the emotion of the last edition having an interview with Alex Samper, friend of this blog. 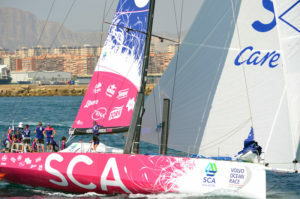 Alex worked for Team SCA, better known as the girl team. 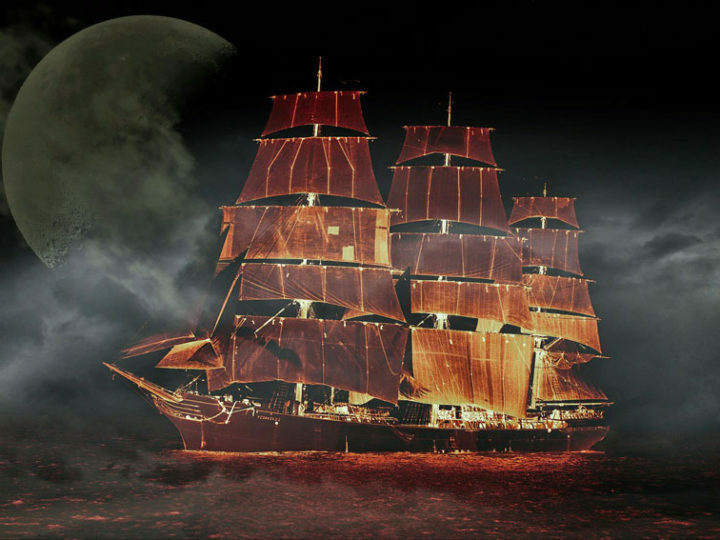 They competed with 6 masculine teams, which had veteran, experimented sailors, and they could inspire with their spirit and will power thousand of people around the World. As responsible of spectator boats of Team SCA, Alex lived and enjoyed close the adventure as few ones, the experience during 8 months of the competition. How was the experience of traveling from port to port in the VOR? The experience was incredible! It was fantastic to know so many cities in so little time. As the race was progressing, I stayed further and further from my home, but being part of this great team, helped us, among us we made company to ourselves. We tried to create a family and we helped each other. I remember my trip from New Zealand to Brasil…more than 40 hours… cancelled and delayed flights…a cyclone at the North of New Zealand…it was a big adventure! With how much advance had to you arrive at each port and what did you do there? I must be in the actually port four days before to open the Race Village of the Volvo Ocean Race. 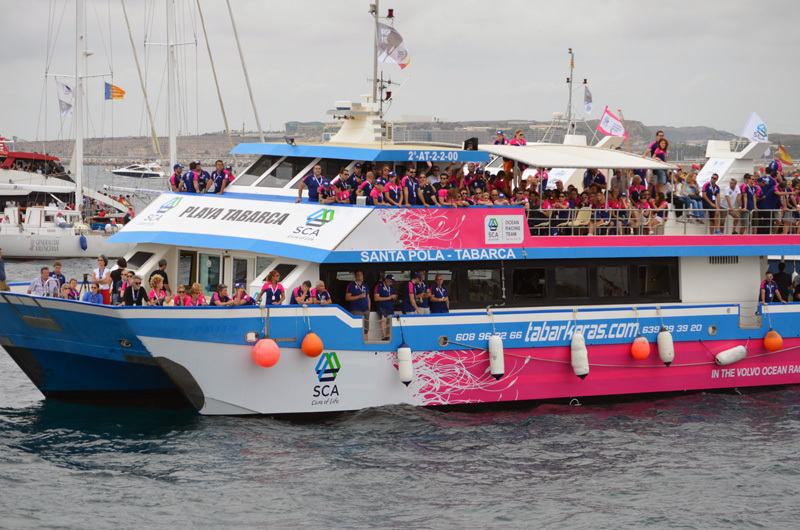 I managed the boat for the spectators of the team SCA. Basically, I controlled everything for the guests who came to attend practises, races, In-Port Race or Leg-Start Races, to have the best experience during the show. Did you go back home after each stopover? Sometimes. We had some free time during the first legs to decide it, because it was very long the crossing. Once if the fleet is in Europe, you don’t have option to go back home, if it’s really not necessary. How was the atmosphere among the colleagues? It was fantastic. Every person was doing his best to have a good experience. What did you feel of being part of the girl team? Well, I felt really proud to be part of this feminine team. It’s something historic, what impressed a lot of people. Women competing directly with men! There isn’t many sport events, where women compete in his way with men, is there? Which moment was the most relaxed during the round the World? Probably when the boats left toward the next stopover. In that moment our work temporally finished and we could relax a bit, had a rest and prepared for the next stopover. Which leg was the most complicated for the girls and why? Maybe from Auckland to Itajaí. As well as be the most difficult leg because of the meteorology conditions and dangerous of the sea, they had technical problems too, but with the help of our technical, they could solve them quickly. Tell us a story what you lived in the ports during the arrivals and welcome of the crew, or during the farewell when they start the new leg. Farewells were sad for the crew because our family was there and watching the crew go out there and competing and working with extreme conditions. Welcomes were wonderful. It was a motivation to be happy, that all girls were fine. As a story, I will remember always for the Newport start. It was a cold day, but sunny and I paid attention to large amount of people, who sailed out with their boats to attend the start of the sailing boats. Tell us about the In-Port Race experience. How it is lived? It was the best parts of the races for me. It is lived a special way. There are a lot of people and boats, all the team go out to win and do their best! We made almost perfect way the In-Port Races. We won two of them! The girls were fantastic in this kind of race. What is felt at finishing the competition, although the team, whom you support, they didn’t result winner? Lot of proud! I think the girls were the big winner of this edition because they showed to all World that a woman can do this kind hard and exacting competition. I think it was 4 o’clock in the morning when TEAM SCA crossed the line and got the first place in the leg which finished in Lorient, France. I was in a RIB which had our team and I could see their face of happiness. I felt very proud myself to be in that historic moment. Even you don’t win the first place, but you are the winner as well! Which destination did you like the most? Without any doubt, Itajaí, Brasil. The people are very friendly and kind. The true is that I’d love to go back to Brasil and discover more of this fantastic country. 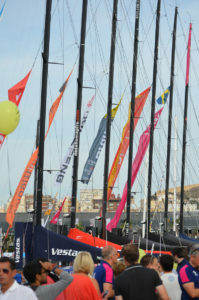 Would you recommend to participate and attend Volvo Ocean Race and why? Of course! this is a wonderful experience in many sense. There is a lot of work and responsibility and it gets out the best of you. 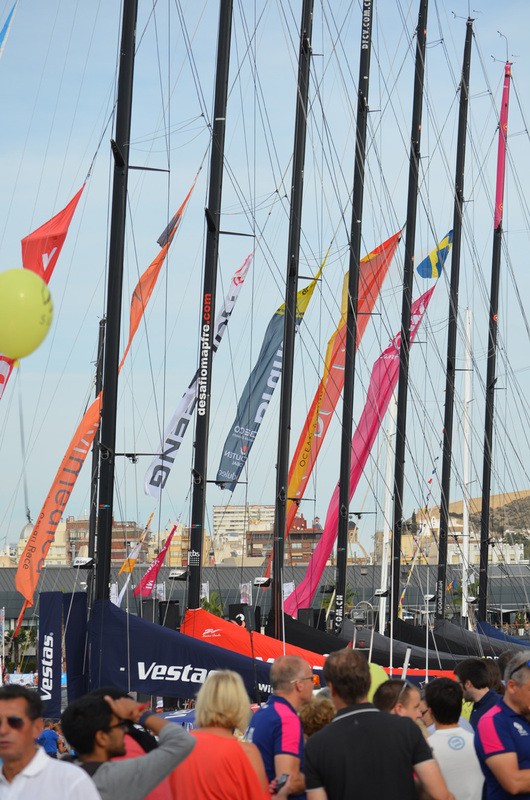 I think Alicante is the perfect port to organise the start of this world race. I hope that there will be more starts here, in my native town. Would you repeat in 2017? I’d love to repeat! I hope to have the opportunity again and show my value for this type of work. What do you think about Alex’s experience? 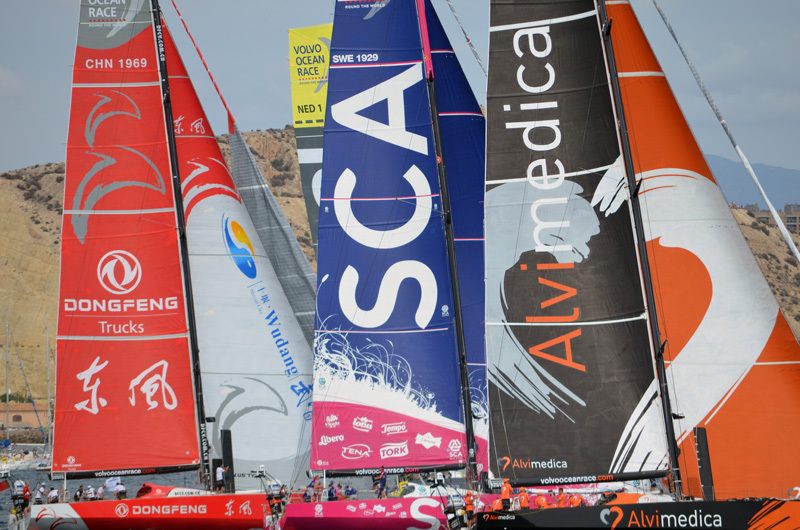 Which memories have you got about Volvo Ocean Race 2014-2015? 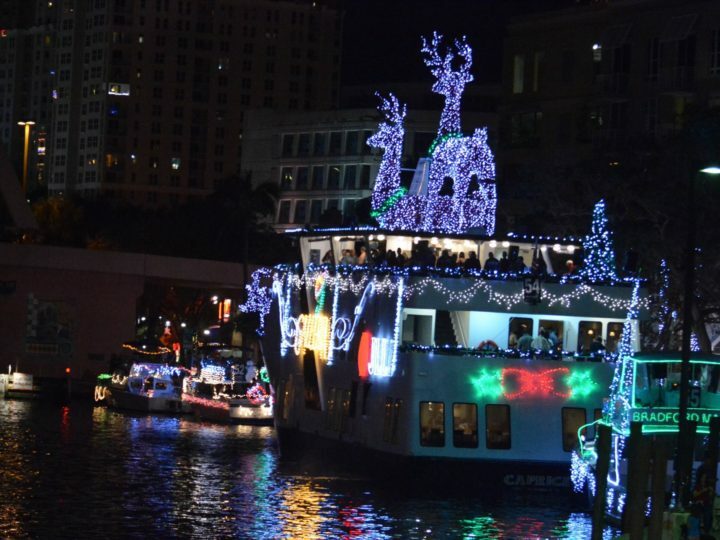 Christmas Boat Parade: A tradition to discover and enjoy!